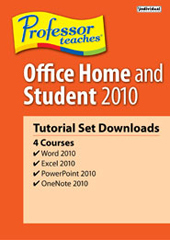 Professor Teaches Office Home & Student 2010 helps you learn to use the four powerful productivity programs in Microsoft® Office Home and Student 2010. 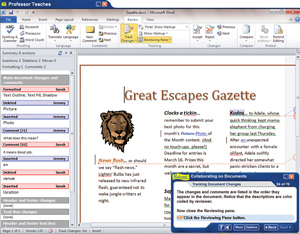 Achieve success at school or home and build all the skills you need to use Word, Excel, PowerPoint, and OneNote 2010. There are over 200 lessons in this interactive, tutorial set. Download the product and start learning Microsoft Office Home & Student 2010 today! 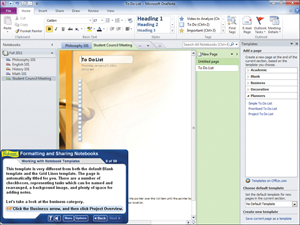 Professor Teaches Office Home and Student 2010 is the fast way for students to learn Microsoft Office Home and Student 2010, with shortcuts that will get you A+ results. Learn to create outstanding school reports, design impressive presentations, share information for group projects, and more. Home Users will discover how easy it is to learn the essential skills of Word, Excel, PowerPoint, and OneNote 2010 to build new knowledge and produce professional-quality projects. Learn to create impressive budgets, organize multiple home projects, track expenses, and more. What Are the Benefits of Learning Microsoft Office Home & Student 2010?